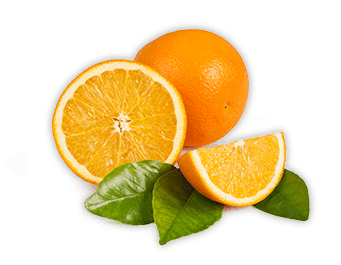 The orange is recognized as one of the world’s most popular fruits. An excellent source of Vitamin C, oranges are also a very good source of dietary fiber, a good source of B vitamins including vitamin B1 and folate as well as Vitamin A, calcium and potassium. Recent research studies have highlighted the benefits of a wide variety of phytonutrient compounds including citrus flavanones (types of flavonoids that include the molecules hesperetin and naringenin), anthocyanins, hydroxycinnamic acids, and a variety of polyphenols. Certifications: Kosher and Food grade.